Who knew that my brief account of visiting the Zane Grey Pueblo on Santa Catalina would rouse my occasional Guest Blogger Brian Leno to relive a dreaded literary memory, and follow me into the ring to beat up some on good old Zane Grey? 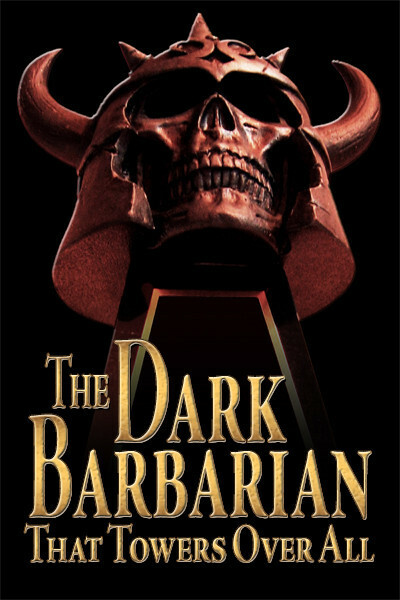 When I first read The Dark Barbarian back in 1984 I was amazed when I found Steve Eng’s list of the books contained in Robert E. Howard’s library. I’m a serious Howard fan and I immediately started trying to locate, and read, all of the books that one of my favorite authors had owned. I certainly haven’t read all of them, but I have made a dent, and while naturally I’ve unearthed some diamonds I’ve also found quite a few that would have best been left buried. Of course I was already very familiar with some of the writers represented on the list — Edgar Rice Burroughs, Sax Rohmer, and H. Rider Haggard to name just three. Another writer in Howard’s library, one I hadn’t read, was Zane Grey. Howard was very fond of this Western titan, once remarking that he’d be willing to read Zane Grey for the rest of his life (at least if it was a choice between Zane Grey and H. L. Mencken). So, quite a few years ago, I opened up a copy of Riders of the Purple Sage, probably Grey’s most famous book, and even though this volume was not listed as being in Howard’s library I was sure the prolific author had read it. 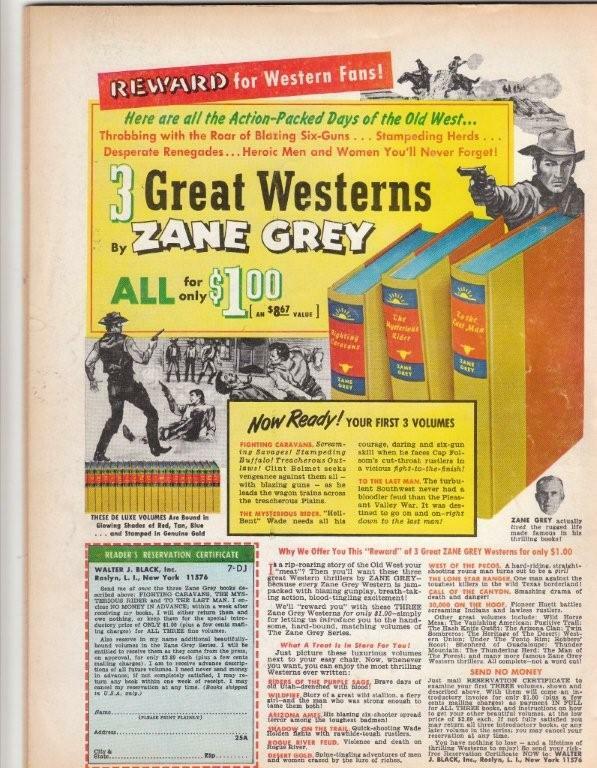 I really wanted to like Zane Grey and, at first, I wasn’t disappointed. Grey had me hooked, just like a swordfish, at the very beginning. I loved the character of the feared gunman Lassiter — clad in black, he was an unrepentant killer of Mormons because members of this faith had kidnapped his sister. Lassiter was cool and his horse was very different from the average Western hero’s mount — his horse was blind. I thought I’d struck pay dirt. But it didn’t pan out that way, because before too long the heroine had Lassiter swearing to never use his guns again and I was rapidly losing interest — I finished the book, but it was a chore, and I remember very little about it except I’ll never forget that introduction to Lassiter, and the fact that it really soured me on Zane Grey. It would take years before I even considered reading another Western by this particular author. But I finally gritted my teeth and ordered a copy of To the Last Man, a book Howard did own, and had it downloaded unto my Nook. I read the foreword — interesting stuff about the Graham-Tewksbury feud — and then started the novel. I didn’t get too far; I just wasn’t feeling that masochistic that day. Couldn’t do it — while I enjoy Western movies and true historical pieces, I just can’t read the fiction. However, I did know a little about the Graham-Tewksbury feud, also known as the Pleasant Valley War, and so I dug out my copy of the November 1967 copy of Real West magazine and read Maurice Kildare’s article, aptly titled the “Horrible Graham-Tewksbury Feud.” Kildare’s piece is mainly concerned with one of the bloodiest days of this Arizona battle, and makes for interesting reading. On the night of September 1, 1887, the Graham faction learned that their hated rivals were holed up at John Tewksbury’s place. Mustering together all the men available, the Grahams and their allies placed themselves quietly outside the house and waited for their chance. At some point during that night William Jacobs and John Tewksbury left the cabin and headed for their horses; they were ambushed and quickly shot dead. With the arrival of morning, the firing between the two factions reached fever pitch and the Graham group started to laugh when they saw some hungry wild hogs making for the two bodies. Mary Tewksbury, John’s wife, could be heard wailing in the cabin that she won’t allow the animals to get to her husband. When she stepped outside the firing stopped — evidently the Grahams had some sense of honor — and she ran to the bodies and tried to break the hard earth with a shovel. That failed, so she returned to the cabin and brought out blankets — quickly covering the bodies with these makeshift shrouds she placed rocks on the edges in the hope it’ll keep the hogs out. The shooting continued for the rest of the day and at nightfall the Grahams rode off, to continue the feud at a later date. 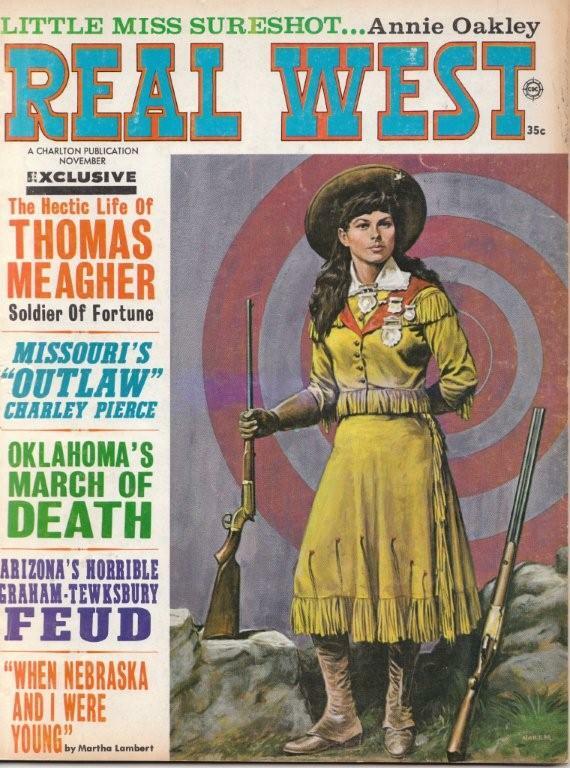 The Pleasant Valley War lasted for years and some of the participants should be known to Western fans. Noted assassin Tom Horn had ties to the feud, and Andy Blevins, who was related to Martin Blevins, was heard foolishly bragging that he was the killer of both Jacobs and Tewksbury. It wasn’t too long after this that Andy was in turn killed by Sheriff Commodore Perry Owens, a gunman of no small renown. But the most interesting character to have participated in the Pleasant Valley War was Frederick Russell Burnham. Evidently a born fighter, after his role in the Graham-Tewksbury feud Burnham moved to Africa and distinguished himself in many of the conflicts raging in the Dark Continent during the end of the 19th Century. His daughter Nada, named after the H. Rider Haggard character, was the first white child born in Bulawayo, in what is now Zimbabwe, in 1884. Her life would only last a couple of years as fever and starvation took its toll during the Siege of Bulawayo and she died in 1886. Haggard would later dedicate three of his books to her memory. During this period of the Second Matabele War, shortly after his daughter’s death, Burnham performed what was perhaps his most audacious act when he and a companion crept into the sacred cave of Mlimo, the spiritual leader of the Matabele, and assassinated him while he was performing his “dance of immunity.” Their escape afterward makes for hair-raising reading — more excitement there than in a Zane Grey novel, no doubt in my mind. It’s a no-brainer — reading the true story of the Graham-Tewksbury feud, and researching the lives of some of those who participated in it, is more interesting than any novel could ever be, and while I have high respect for Zane Grey’s accomplishments, I just can’t read him, and no longer have any intent to do so. He’s as outdated as the cowboy kissing his horse. 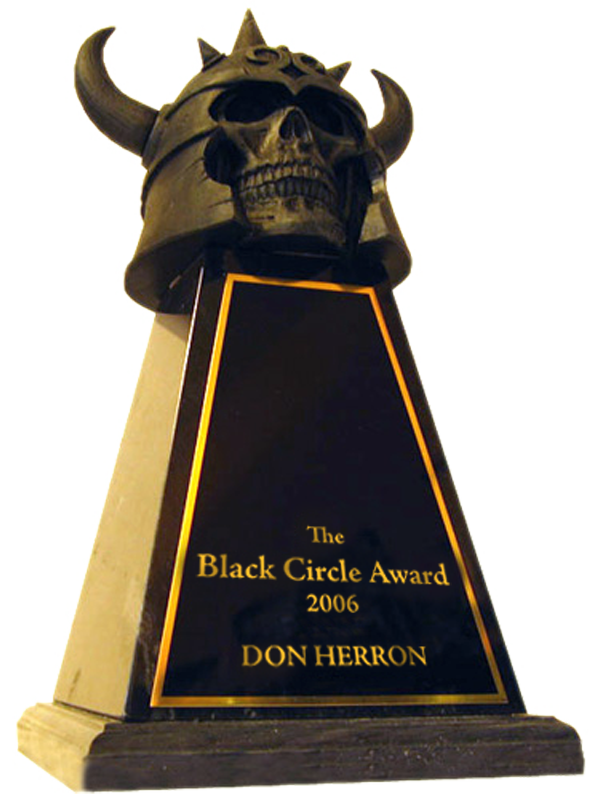 This entry was posted in Lit, REH and tagged August Derleth, Brian Leno, Cynthia Anne Parker, Edgar Rice Burroughs, Frederick Russell Burnham, Graham-Tewksbury Feud, H. L. Mencken, H. Rider Haggard, Lovecraft, Mormons, Nook, Pleasant Valley War, Quanah Parker, Real West, Robert E. Howard Library, Sax Rohmer, Steve Eng, The Dark Barbarian, Tom Horn, Zane Grey, Zane Grey Pueblo. Bookmark the permalink.